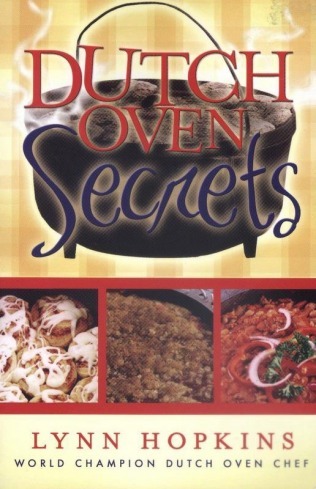 Here's a valuable book for those who are new to the art of Dutch oven cooking. Written by a veteran of several World Championship Dutch Oven Cook-Offs, this guide has it all! A helpful list of tools takes the guesswork out of what accessories to buy and suggests what features to look for when selecting them. Tips are given for seasoning, cleaning, and storing cast-iron and aluminum Dutch ovens and for proper fire preparation. The exciting main dishes include apple-orange stuffed pork chops, moussaka, Swiss cheese and mushroom quiche, Malibu chicken, and more. Delicious recipes are given for soups, chili, sauces, bread, cakes, and pies. What adds to this book's special value is that the author shares his insights on the ins and outs of competition cooking. Other chapters discuss basic cooking techniques, cooking for large groups, and the use of a Dutch oven in a home food-storage program. Paperback, c2006, 110 p. : ill. ; 21 cm.